and traveling on through lands, languages and cultures. simultaneously dream of each other. Each falls deeply in love within their dreams. only ever glimpsing their beloved while dreaming. Sleep to keep dreaming! Stay awake to keep searching! 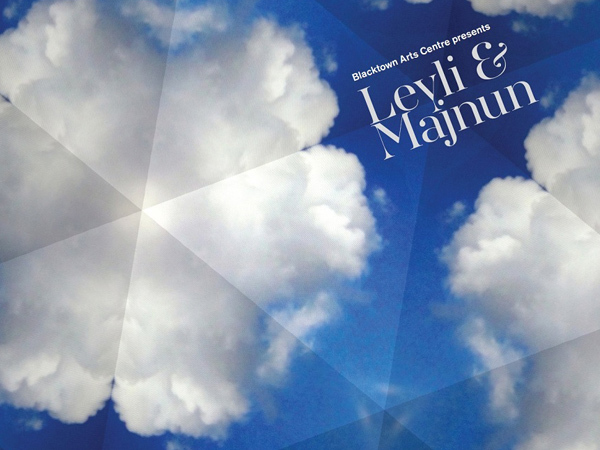 This recital is an expressionistic pastiche of new and existing compositions inspired by the ancient Arabic and Persian story of Leyli and Majnun – one of history’s grand narratives about obsession and higher love! Leyli and Majnun featured famed Uyghur musician, Shohrat Tursun singing the role of Qays (Majnun) and playing the dutar. He was shadowed by Ngoc-Tuan Hoang on classical guitar as another aspect of Majnun. Leyli had dual representation in Bulgarian singer Sylvia Entcheva and classical and multi-genre artist Susie Bishop. The recital was wrapped in the visual language of artist Joanne Saad and will be directed by Felix Cross MBE. The artistic vision, music and cultural research were facilitated by Blacktown Arts Centre, Dr. Diana Blom and Dr. Ayxem Eli.